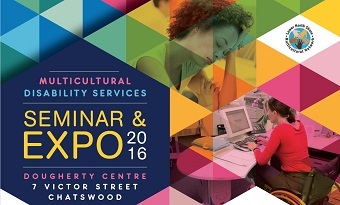 The Multicultural Disability Services community language seminars are coming up soon. Topics covered during the seminars include carer and family support, Centrelink and financial assistance, and the NDIS. The expo on 30 November (3.30pm – 7.00pm) gives you an opportunity to meet the service providers who can help you and your family with choices and information on local disability services. Justine Acar, at jacar@ccoz.org.au, on 1300 36 46 88 or 0466 686 500.